In her health column on Tuesday, November 14, Jane Brody, health columnist for the New York Times, cited Lung Cancer—A Guide to Diagnosis and Treatment by Walter Scott, M.D. Brody covered several issues related to lung cancer, including prevention, early detection, and improved treatment. Brody said, “Dr. 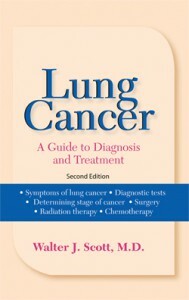 Scott’s book contains easy-to-understand descriptions of modern treatments and ways to cope with their effects.” November is Lung Cancer Awareness Month. Read the entire article here. 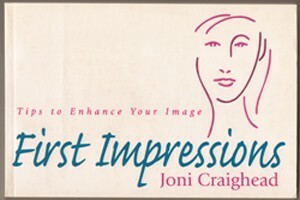 Joni Craighead, author of First Impressions—Tips to Enhance Your Image, traveled to New York City in early November for a taping of the Montel Williams Show. Joni Craighead is an image consultant whose book offers more than one thousand tips on make up, hair and skin care, and wardrobe. “The show topic was makeovers for women,” Ms. Craighead said. “My role was to outfit the women in new clothes. I chose colors and styles that best suited them.